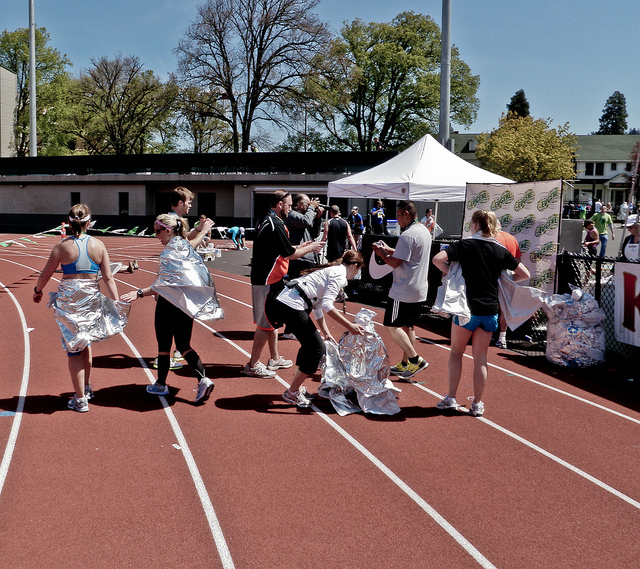 I’ve signed up for a Spring marathon – specifically the Vernonia Marathon. 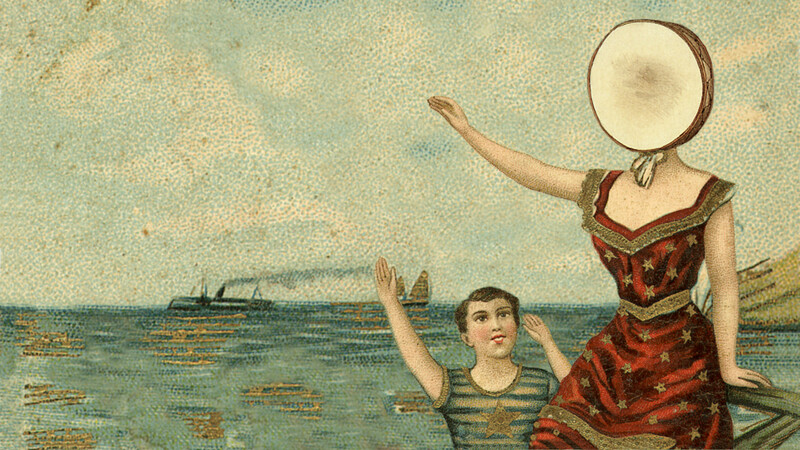 It is in Northern Oregon – North and West of Portland – a part of the state that I have never visited. I think this might be my 18th or 19th marathon but I’m not sure. I just did my first true long run and I feel pretty good. I informally classify runs like this: two to six miles are shorter runs, like mid-week type runs. 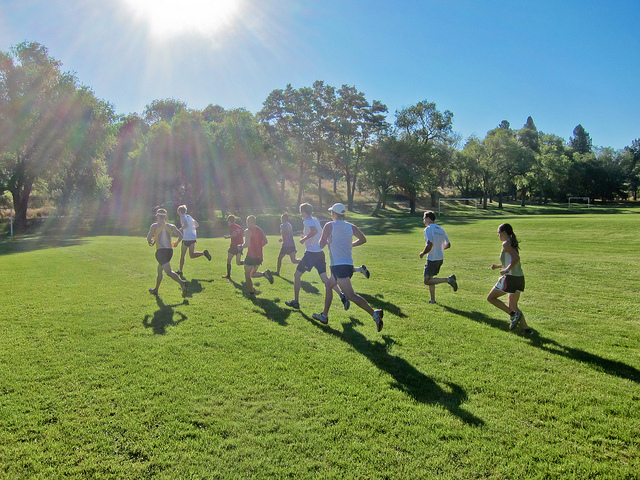 Medium long runs are nine to twelve miles. I’ll usually try to do a nine to twelve mile run every weekend even if I’m not training for anything. In fact, if I’m not training for anything at all sometimes that’s my only run of the week (with mountain biking or hiking on other days). 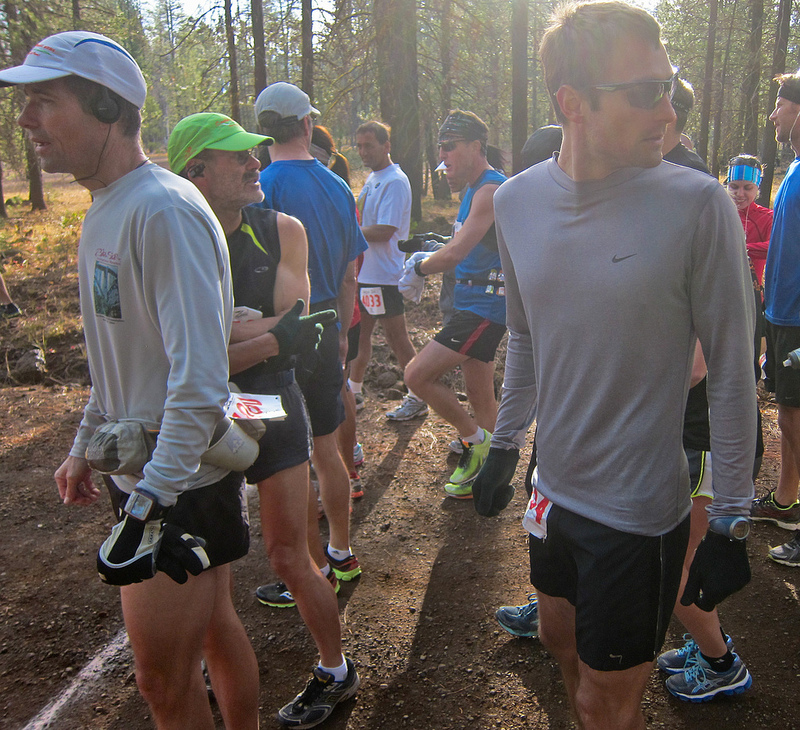 I think of a true long run as being fourteen miles and up. There’s something about that distance that, for me, seems pretty serious. Anything over thirteen requires more fortitude. 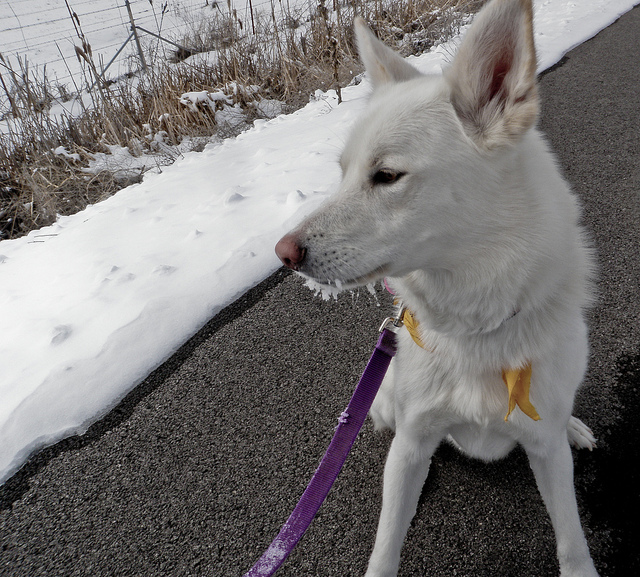 I didn’t just start training for an April marathon this weekend – I’ve been training for weeks – but my weekend long runs have only been eleven to twelve miles. As far as my atrial fibrillation is concerned nothing has changed – I remain in atrial fibrillation all the time, my running has slowed, and I need to make sure I drink enough water and eat something salty afterwards. 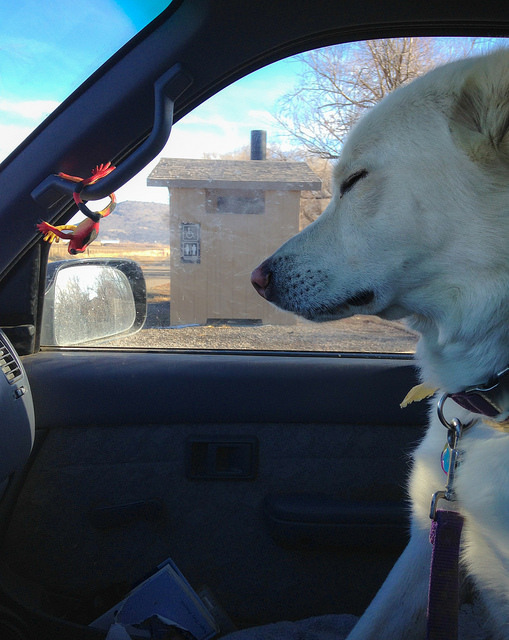 After the fourteen miler I went through the drive through at Burger King and bought each of the dogs a cheap burger from the value menu (the dogs aren’t vegan), and just an order of fries (with salt) for me. This way I avoid the dizziness I sometimes get from standing up after a long run. The Vernonia Marathon course is on a paved bike trail. This is the first Rails to Trails project in Oregon – the OC&E Woods Line State Trail being the second. I chose it because I like to train on the OC&E and have completed the Bizz Johnson Marathon (on an un-paved rail trail) seven times. 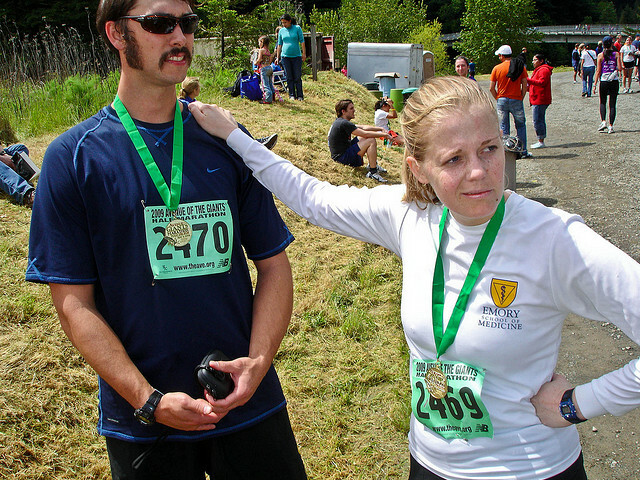 I expect the Vernonia Marathon should be a small, informal, fun race and I won’t know anybody there except for my friend Claude who is also going to run it. 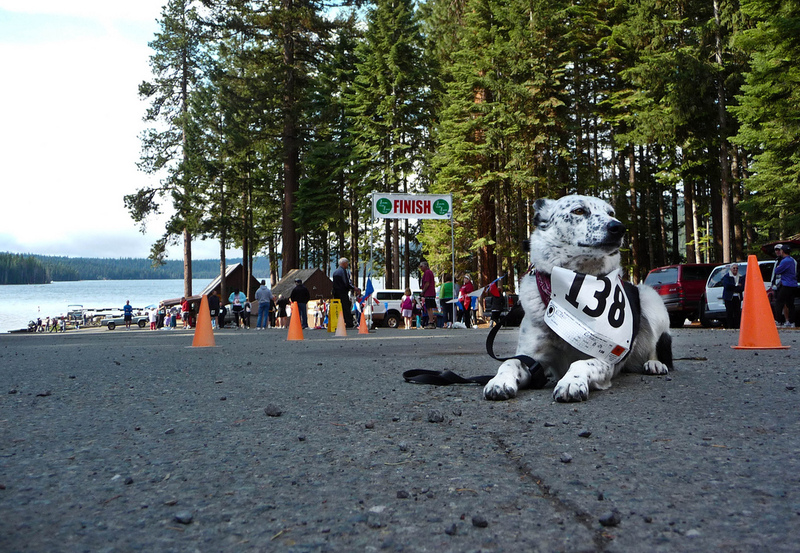 My race strategy is to start out slow and then take it easy. 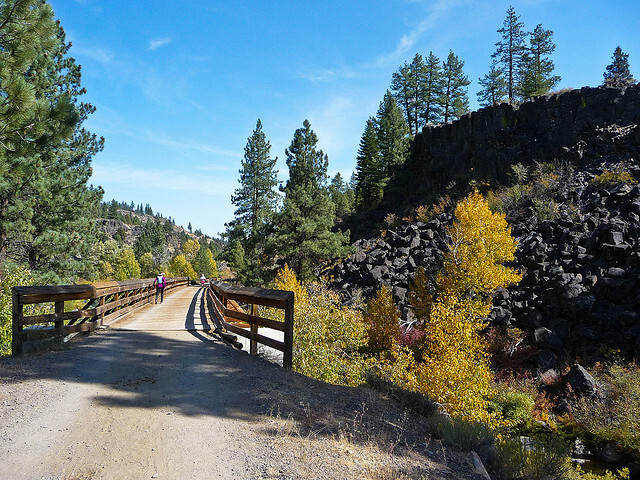 The course profile looks hilly – but how steep can a rail trail be? Trains can’t go up more than a one or two percent grade, right? 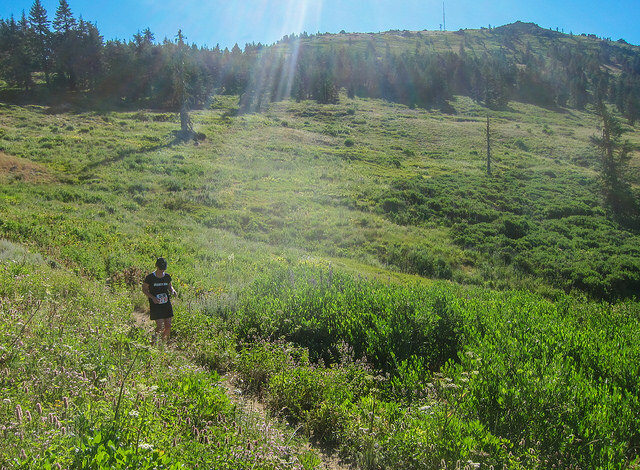 I think the hills will be gradual – like the Bizz Johnson course. 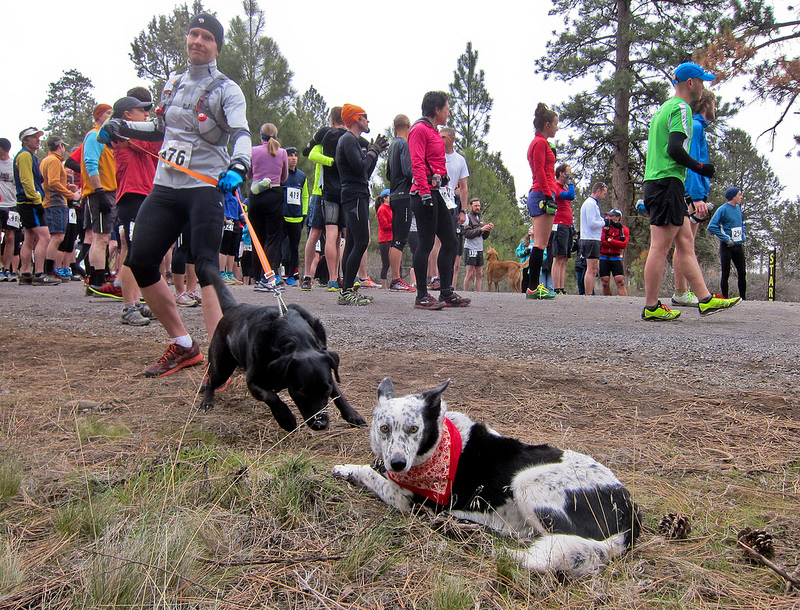 Funny – I always enjoy the training much more than the actual races. If anybody has any experience with this event please comment below. See you there. 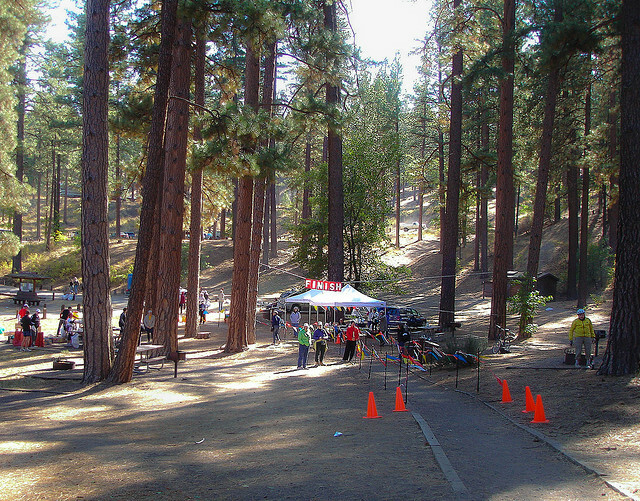 My next event in the Bizz Johnson 50K – October 13, 2013 in Susanville, California – although at this point I am considering bagging it and just running one of the shorter events – maybe the marathon. 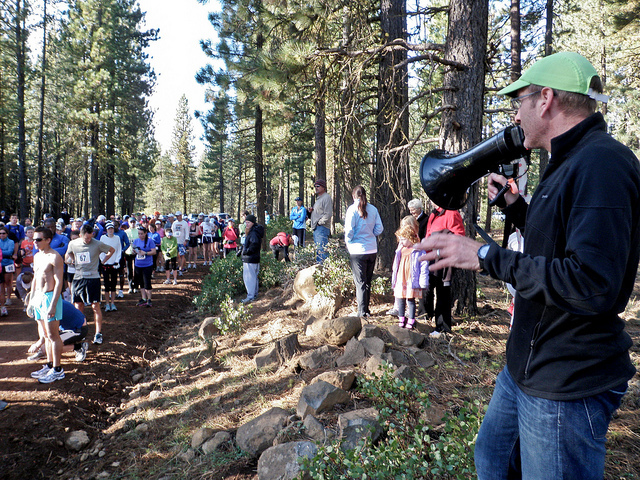 Bizz Johnson has something for everybody – a 10K, two half marathons, a marathon, and a 50K. 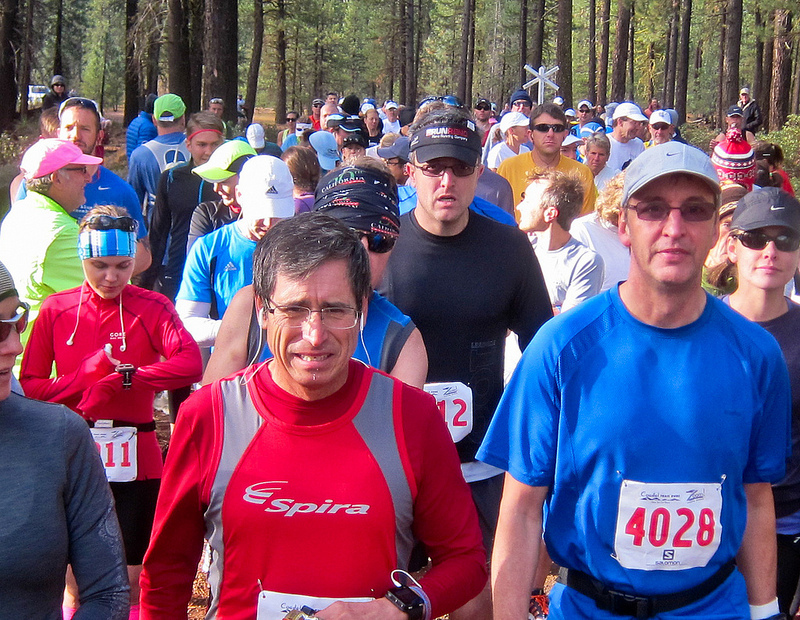 As far as trail 50Ks in the West are concerned this is probably the easiest course. 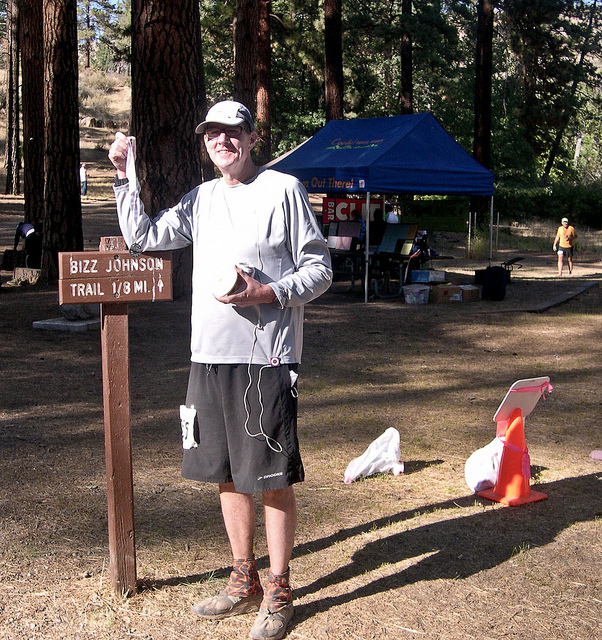 Bizz Johnson is organized by Coastal Trail Runs, an organization that is headquartered in the San Francisco Bay Area, and it takes place primarily on a rail trail (Rails to Trails). That’s why the course is easy – trains are, I think, unable to go up or down any more than a one or two percent grade. 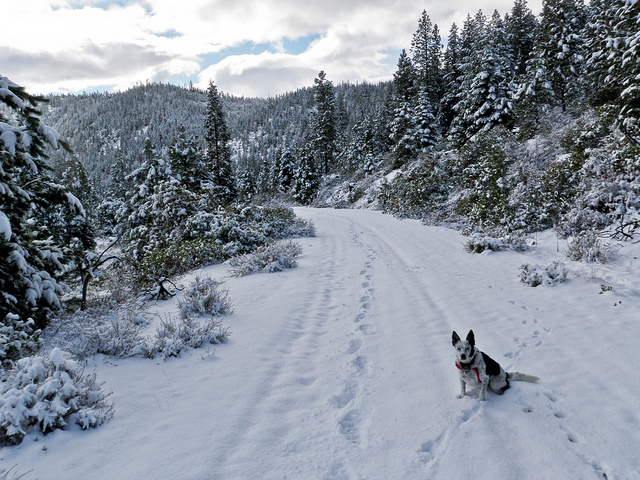 Plus the trail is as wide as the railroad tracks it once was, and as smooth as a dirt road. Most 50Ks in Oregon and far Northern California are on technical single track that go up and down mountains and canyons. This will be my seventh year running the Bizz Johnson – I’ve ran the marathon five times and the 50K just once – last year was the first year they even had a 50K. 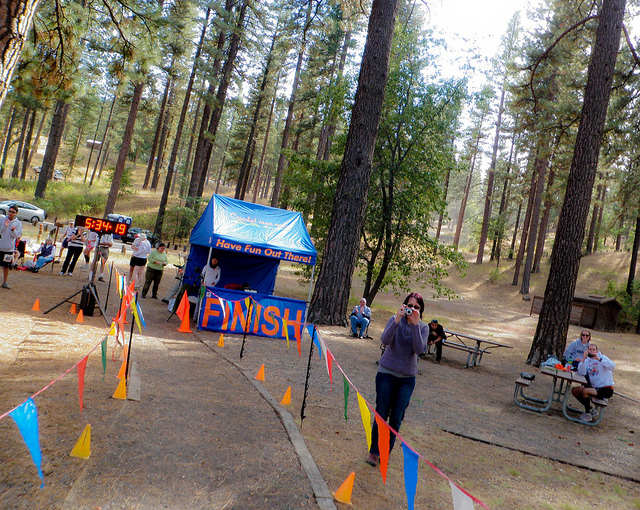 I even came in second place in my age group – but then again there were only two of us in that age group. The entire rail trail is only about twenty-five miles so both the marathon and the 50K start with an appropriately measured “out and back” on an adjacent fire road to make the races end up being the proper distances. Last year this worked perfectly for me because the 50K started an hour before the marathon, so I ended up running into the back of the pack runners, who had just started. It was sort of like running a normal marathon . . . after going for a one hour morning jog. 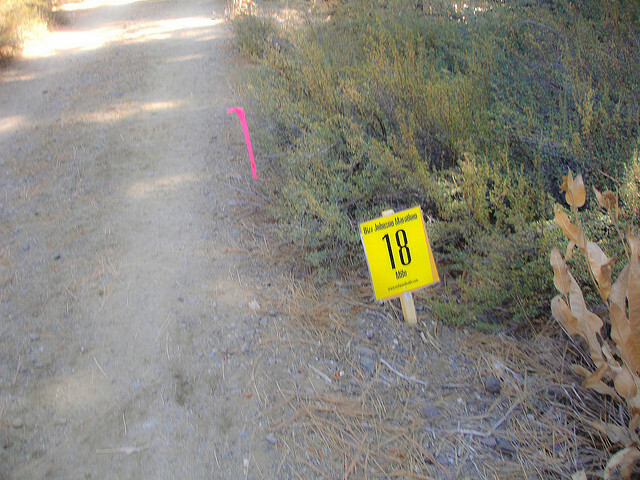 The race begins with a six mile out and back (three miles up and three miles down) on a non-technical fire road; then it joins the Bizz Johnson Trail. 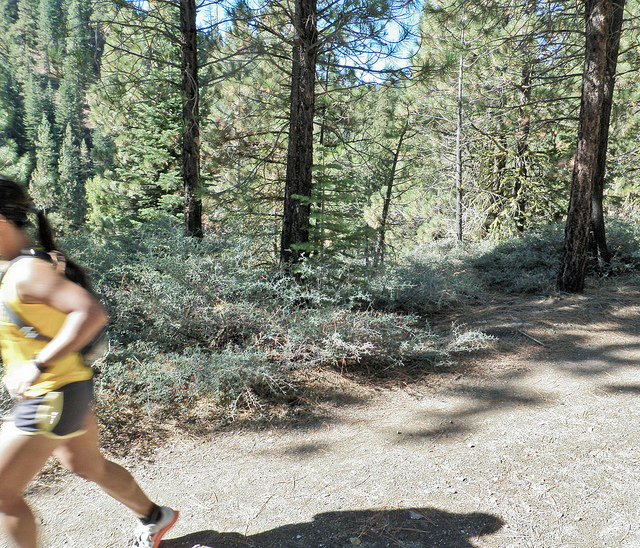 The first couple of miles on the Bizz Johnson are uphill and then there are essentially twenty miles of gentle downhill running. 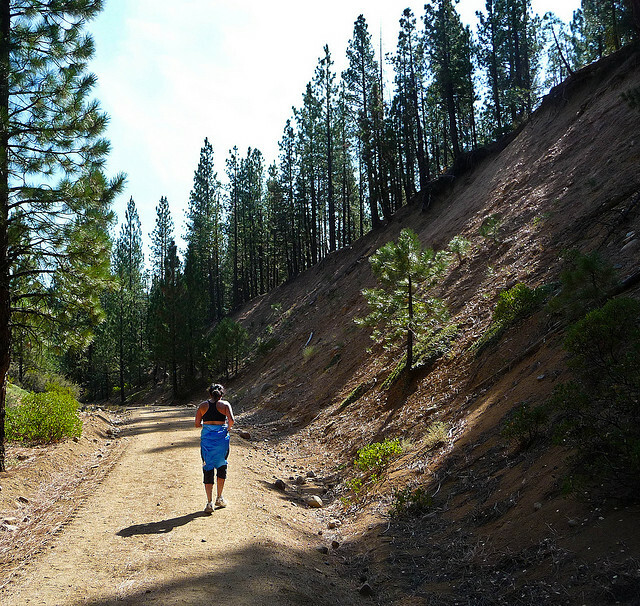 The trail is smooth and a delight to run and goes through a pine forest at first with final six miles going down the Susan River canyon ending in Susanville. 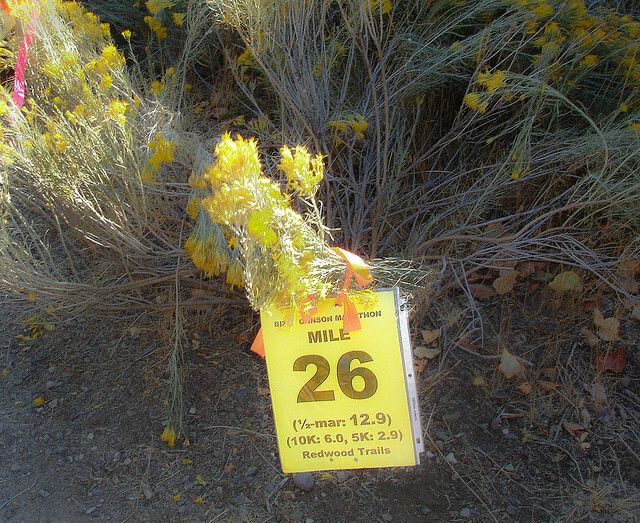 There is one canyon crossing at about the twenty-five mile marker (the twenty mile marker for the marathon) that looks easy on the course map but is in reality quite brutal – probably my perception is based on the fact that this is the point where the course often becomes pretty warm (lower elevation in a deeper canyon). 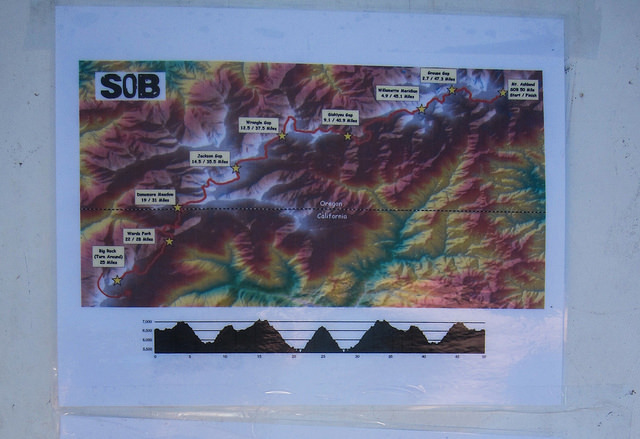 Also there are two tunnels late in the race that are fun, but freak some people out – very dark and cold in the tunnels! 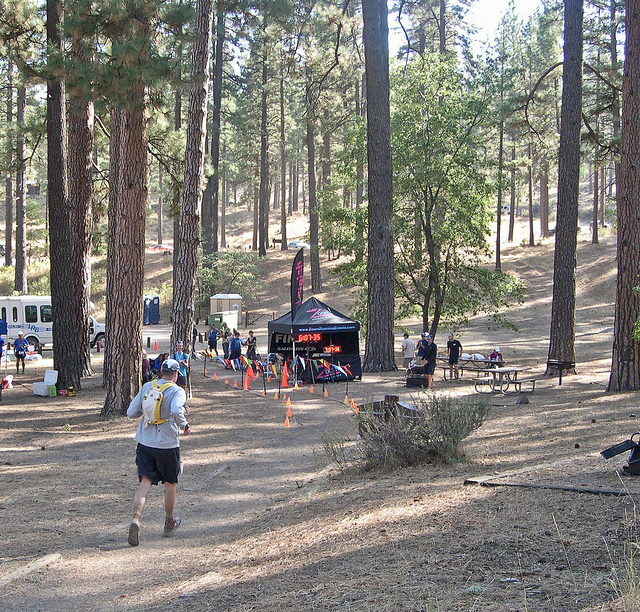 The race is a small, well-organized point-to-point event with no expo, and bus transport from Susanville to the starting line. 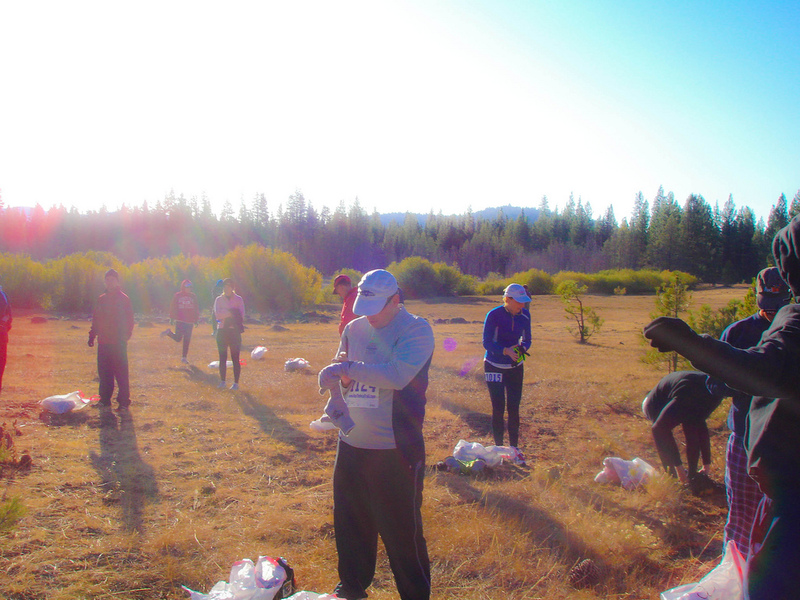 There are aid stations every two miles along the marathon course. For me the altitude in no problem (5600 ‘ to 4200’) because I live and train at the same altitude – some folks from sea level complain about it, however. The cool thing, at least as far as last year was concerned, is the mile markers were all based on the marathon distance so psychologically it was easier. 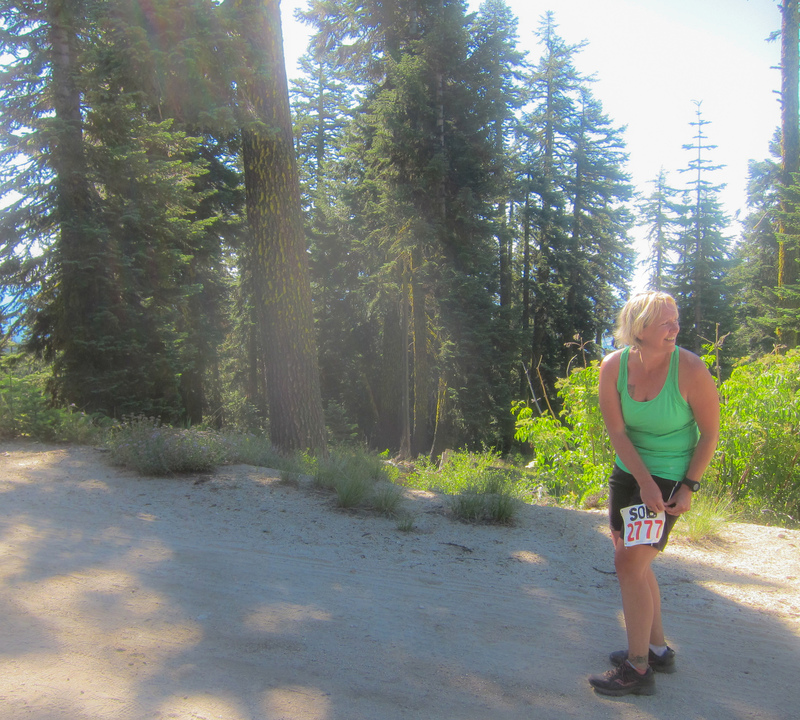 For example – when I pass the eighteen mile marker while running the 50K I am actually at about twenty-three miles – but psychologically it seems like I am only at eighteen. It might have something to do with my being so familiar with the course. 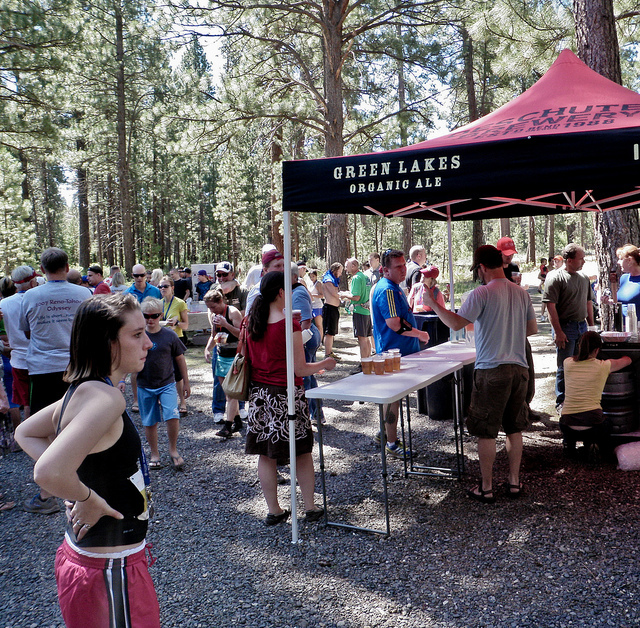 The race ends in a picnic area in a grove of tall pines and there is transport back where all the cars are parked. The reason I am thinking about bagging it is that my training doesn’t seem as good this year as it was last year. I was in persistent atrial fibrillation last year, as I am this year – but my mileage was much higher last year. I was running fifty to sixty miles per week with one seventy-five mile week (my all time highest mileage week). 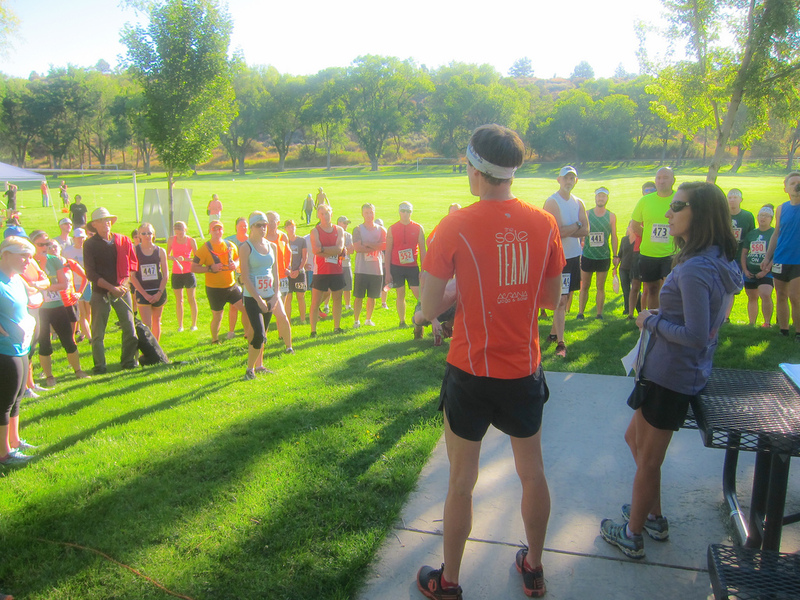 Age Group – Second Place in my first 50K – but only two runners in my age group. This year I bonked out on my first two long runs (I’d planned on two twenties and ended up only running sixteen and thirteen – that was five and six weeks ago). 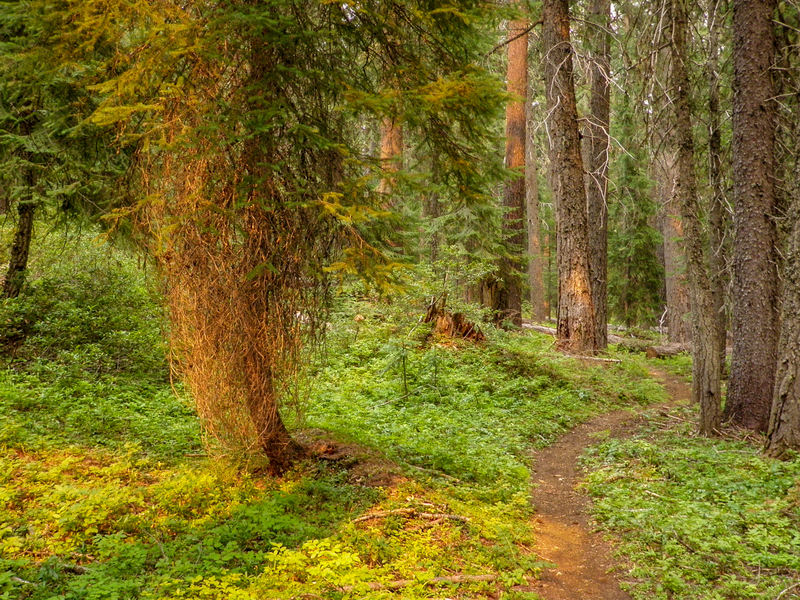 Over the past three weeks I have completed three twenty or twenty-one mile trail runs in the Sky Lakes Wilderness. The reason I bonked out on those long runs may not have anything to do with my atrial fibrillation – I think it is more related to my intolerance to heat. Both of those days were too hot, especially later in the runs. 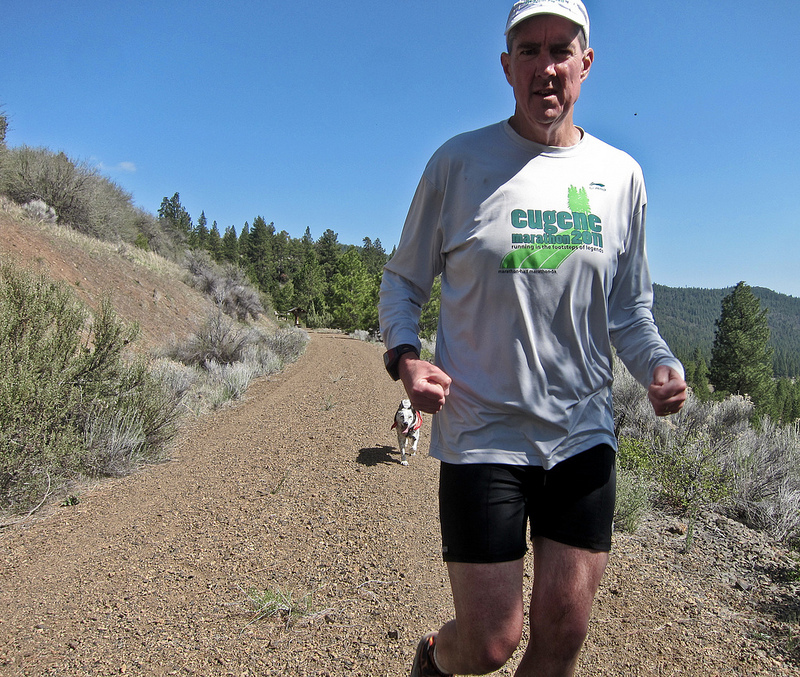 For the past few weeks I have moved my long runs to high altitude mountain trails that are actually much more technical and hilly than the course of my upcoming race – in other words much more difficult training runs than the ones I bonked on – but I am able to complete them because it is shady and cool up there. I have one more long run scheduled this weekend (twenty-four miles?) and then I start my three week taper prior to the race. It’s supposed to be cold and rainy this weekend so I will probably do fine. My biggest problem occurs when it is hot on race day. I should clarify that for me temperatures in the seventies qualify as hot. I think this is what I am going to do: If my last long run goes well I will go to the race and check the weather report. If it looks like it is going to be cool I will run the 50K, but if it looks like hot weather I’ll run one of the shorter events – either the marathon or the half marathon. 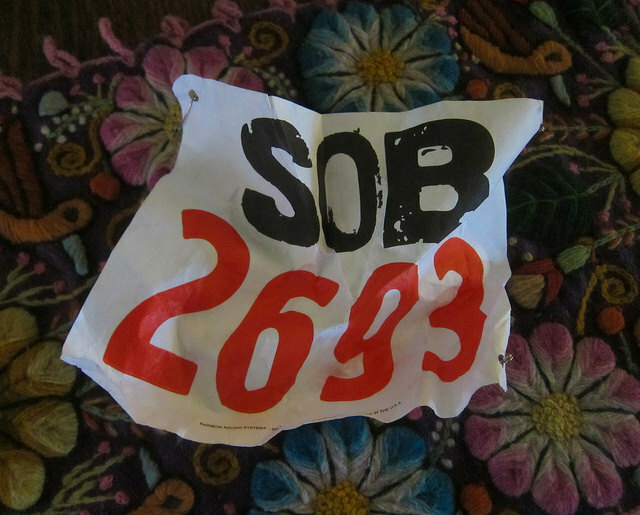 UPDATE: My final twenty went fine – I started getting sort of tired at mile thirteen but pushed through. 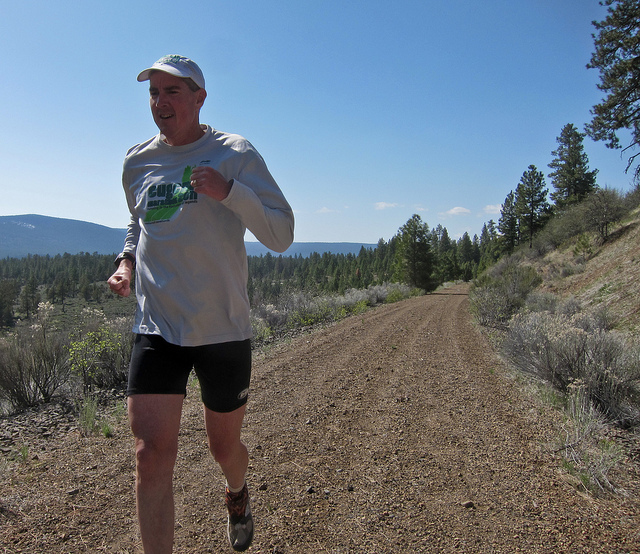 I reviewed my training log and discovered that I had actually ran a twenty miler the week prior to the first of my failed twenties – so I have ran a total of five twenty mile training runs (three of which were more like twenty-one milers in the Sky Lakes Wilderness). I still haven’t decided whether to run the 50K or the 26.2. I’m going to see how I do during the taper (I always cheat and run too much) and also keep an eye on the race day weather.